Recent Update: CCS University MA MSc MCom PG Post Graduate Exam Results 2016 Declared. The Chaudhary Charan Singh University formerly known as CCS University conducted Post Graduate PG Semester Wise Examinations in the month of April-May 2015.A huge number of candidates from Uttar Pradesh state attended these year wise PG Exams.After having exams, candidates are eagerly waiting for CCSU MA MSc MCom 1st Year Result 2015.Due to some admission process in CCSU, the result of MA MSc MCom Courses was delayed.But now on 7th August 2015 the university declared their CCSU Meerut MSc MA MCom Final Result 2015. Those candidates are are willing to check their CCS University MA MCom MSc 2nd Year Result 2015 can now check their marksheets and download OMR sheets by visiting the links given below. LATEST UPDATE (18th December 2016) :CCSU M.A Private All Subjects Back Paper II Year Results 2016 Declared..!! M.Sc.-(Botany, Chemistry, Physics, Mathematics, Statistics, Zoology)-IInd Sem. M.A Private Political Science And Sanskrit 2nd Year Results Published..!! M.A Private (Education/Economics/English/Urdu) 1st Year Results Out Now..!! M.A Private Defense Studies 2nd Year Result Declared..!! 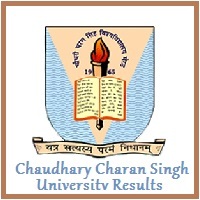 CCS University Meerut MA MSc MCom Exam Result 2015 Declared by Chaudhary Charan Singh University.The result has been uploaded on their official website www.ccsuniversity.ac.in .Candidates can also check their results on www.ccsuonline.in . We have provided some links below from where you can download OMR sheets or check your marks. Candidates can check their results roll number wise by simply entering their roll number in given result box. Please refer below given steps on checking CCS University M.A M.Sc M.Com 1st Sem 2nd Sem 3rd Sem 4th Sem 5th Sem 6th Sem Result 2015. * To check CCSU PG Result 2015 first of all visit the below given link. * Now click on "Regular / Private/Professional Courses/B.Ed. Result". * Now select the course to MA/MSC/MCom.Then select the semester to 1st/2nd/3rd/4th/5th/6th. * To download CCS University PG Result 2015 please save that page. All the candidates are requested to bookmark our website.If you have any problem regarding downloading or checking CCS University M.A M.Sc M.Com PG Exam Results 2015 then please contact our website admin or you can simply leave a comment below. I am not able to see M.Com Private result. ccs university link not updated it shows 2013 link and when i am trying it says result not available. CCS university is so irritating. Yes It Is... Have Patience. Everything will be fine. Exam Resultsare delayed due to admission process. Hey There. You can check Your ccs university ma 2nd year private result by visiting the links given above. The new link has been added.Check it now. Arjun, please visit the above mentioned link then click on marksheet download link then enter your roll number and check your result. Due to election process, the university is declaring results slowly.MCom Private result will be declared within 2 or maybe 3 weeks.Please have patience. What the hell with CCSU i cannt check the result MA 1 privste 2015 it is showing me result not found and year shown 2013. Bro Try the alternate links given above.Surely you will find your result there. kindly provide the link where i can check my M.A (private-1st year) Result.